Prophetic Awareness & Healing Ministries is an expanding global fellowship with passionate, focused people hungry for more of God. We are a part of the rising, awakening body of Christ, serving as a team, we do adhere to the Scripture, “know those who labor among you.” ( 1 Thessalonians 5:12). We are ‘cross-denominational’, that is, the completed work Jesus did on the cross is more than enough for everything in life we encounter. You can join us in prayer. We invite you to join us on a short, mid or long term mission trips. There are opportunities to intern or volunteer abroad. Come and join Rev. Ebenezer, Prophet Amaka, be a part of their ministry team as they travel to Kenya, Uganda East Africa for a month of teaching, impartation and healing. 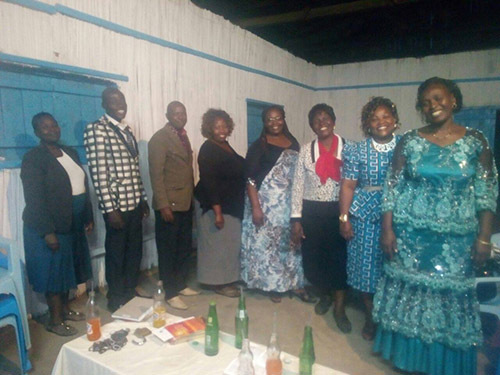 They will be hosted by Prophetic Awareness & Healing Ministries and Elim Pentecostal Jinja, Uganda, and will be teaching and training leaders and pastors from over 150 churches and ministries in East Africa. Come and help, pray into healing for the sick in the night meetings as we open the doors to everyone. All are invited so don’t miss this opportunity to become empowered as we pray for the sick and bring revival to the cities of East Africa. Applications accepted by Mail, Fax, Email, and through our online form.